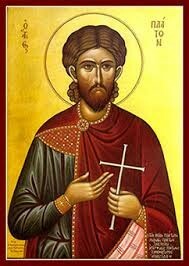 Epistle Reading ~ The reading is from St. Paul’s Letter to the Ephesians 4:1-7. Ed O’Brien (6 months) survived by his wife Maria Glaros. For the good health of the Philoptochos members and their families. Thanksgiving Day, celebrated on the 4th Thursday in November, has been an annual tradition in the United States since 1863. It did not become a federal holiday until 1941. Thanksgiving was historically a religious observation to give thanks to God. The First Thanksgiving was celebrated to give thanks to God for helping the pilgrims survive the brutal winter. The first Thanksgiving feast lasted three whole days providing enough food for 53 pilgrims and 90 Indians. The traditional Thanksgiving menu often features turkey, stuffing, sweet potatoes and pumpkin pie. Americans may eat these foods on modern day Thanksgiving, but the first feast did not consist of these items. On the first feast turkey was any type of fowl that the pilgrims hunted. Pumpkin pie wasn’t on the menu because there were no ovens for baking, but they did have boiled pumpkin. Cranberries weren’t introduced at this time. Due to the diminishing supply of flour there was no bread of any kind. The foods included in the first feast included duck, geese, venison, fish, lobster, clams, swan, berries, dried fruit, pumpkin, squash, and many more vegetables. Daughters of Penelope Food Drive · Thank you all for your generosity. The folks at Christ Community Church Soup Kitchen were very appreciative. Daughters of Penelope Christmas party tickets on sale today. Everyone is invited. 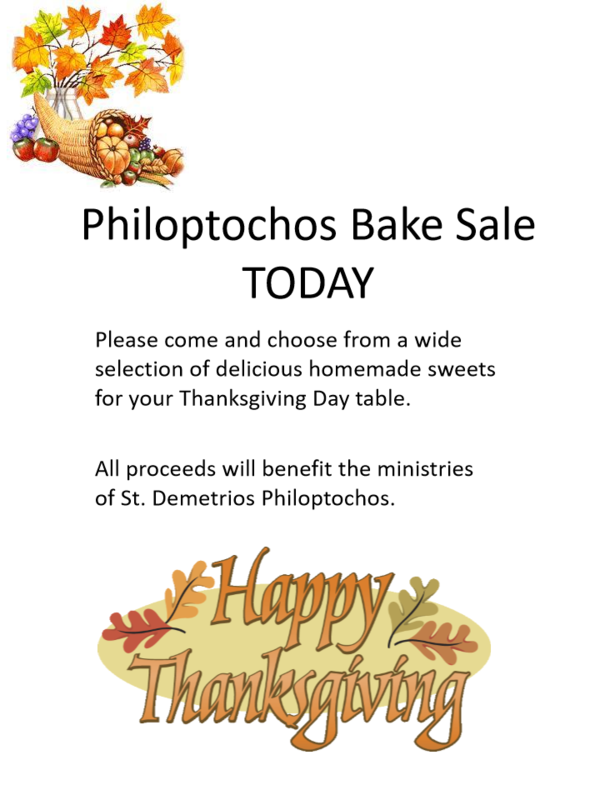 Philoptochos Thanksgiving Bake Sale – Today! November 18th. Support the many ministries of Philoptochos.